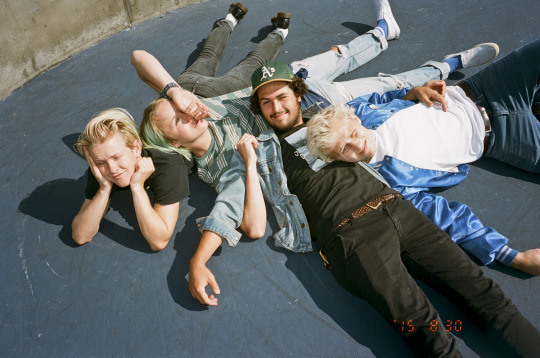 Formed all the way back in 2004, the band SWMRS is originally from Oakland but has the sun-soaked surf punk sound of your favorite SoCal band. But they might be offended if you said so – they have a song called “I Hate L.A.” and their new album, set for release on February 12th is titled Drive North. You may be familiar with their lyrical ode to Miley Cyrus and fans of fashion might even recognize brothers/guitarists/singers Max and Cole Becker as models for Yves Saint Laurent last year. But their biggest claim to fame is arguably their punk rock lineage. Drummer Joey Armstrong is the son of none other than Green Day frontman Billie Joe Armstrong, who helped them produce their first studio albums under their original band name Emily’s Army. According to their Facebook page, they classify their genre as “hawiiange” (Hawaiian grunge?) which is decidedly accurate. Their lyrics play upon themes of young romance, adolescent confusion and general teenage antics making for fun and lighthearted songs that incorporate both punk and beach pop influences. But rather than relying on super distorted low-fi guitars and simplistic drum beats, their sound is refreshingly clean and refined and surprising to hear coming from such young dudes. Even though many of their songs might be about love and the beach, it should be noted that as a band they also deal with some more serious and current subject matter. Perhaps this is what sets SWMRS apart from the rest. The Becker brothers also create Boyzine, defined on their Facebook page as “a zine for boyz (and girlz)… New masculinity not defined by patriarchy.” At their show at Chop Suey this month, their encore included a cover of “Boys Don’t Cry” by The Cure. Max closed the set by proclaiming “boys can cry, girls can cry, non-binary people can cry, everyone can cry!” SWMRS may be just the band to lead today’s socially progressive punk youth. They have already established themselves in the Oakland music scene and are quickly garnering the attention of the rest of the country too. Seeing as they opened for Wavves and Twin Peaks on their September tour last year and are currently headlining their own tour with Melissa Brooks and the Aquadolls (aptly named the “Aquatic Reference Overkill Tour”) I have no doubts we will be hearing more about SWMRS in the very near future. You probably didn’t know that you needed noisy, lo-fi garage rock made by an all-girl band from Spain, but here’s the thing: you do. 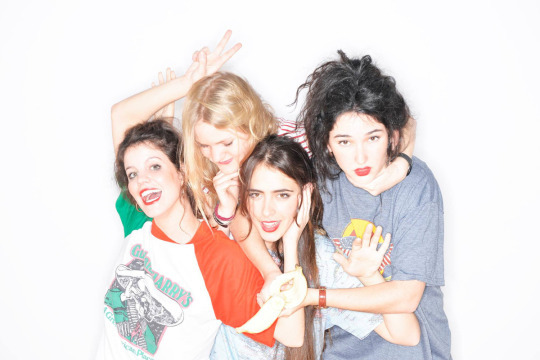 Not to fret, though, there’s a way to satisfy this need: listen to Hinds. Hinds delivers a style of rock which seems to be male-dominated in recent years (don’t worry, Sleater-Kinney, I’m not forgetting you). 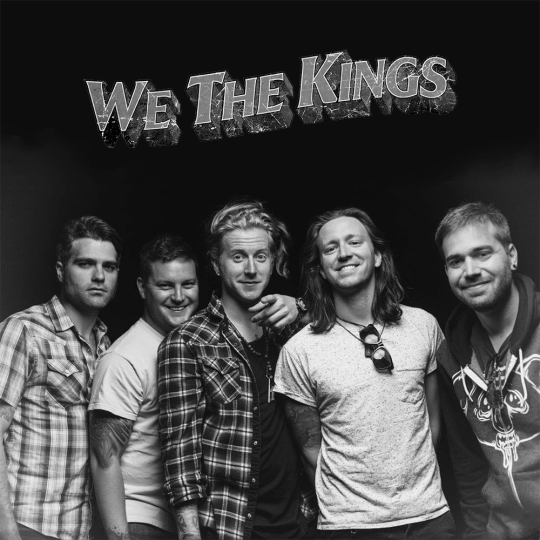 In my opinon, it’s refreshing to listen to loud, angsty songs about boys for a change. 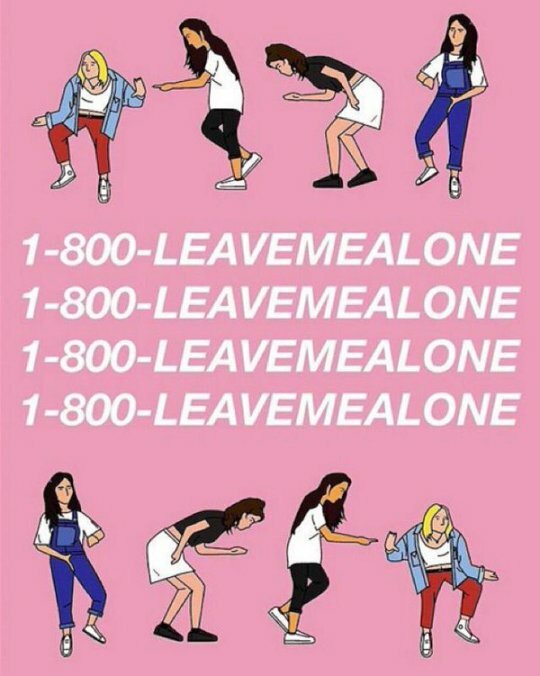 Their newly-released debut album, Leave Me Alone, is already capturing the interest of music bloggers everywhere. 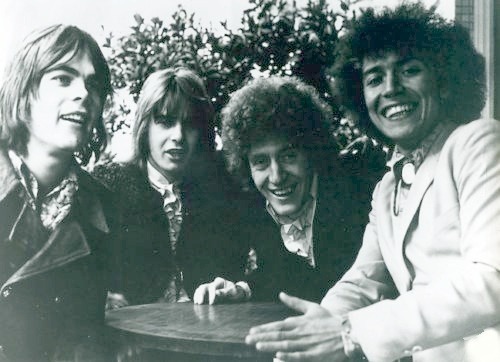 The band’s also embarked on a European tour, and they’ll be here in Seattle on March 27th at the Sunset Tavern. me would pop up. And someone did! Don’t you love it when that happens? music ties it into the pop scene of today. of this year and features four songs (and one remix). 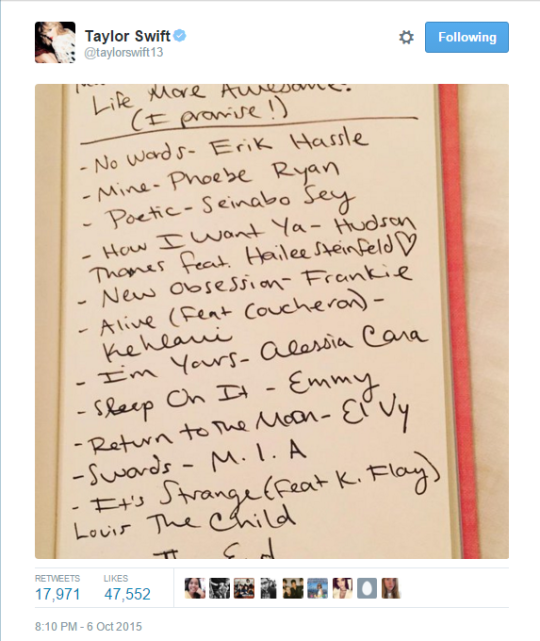 part of her list of “New Songs That Will Make Your Life More Awesome”. Thanks for bringing it into the limelight, Taylor. The song even has an official lyric video and I can assure that it’s just as whimsical and adorable as you would hope. the album are just as great, including “Homie”, which rings similar to Tove Lo in both content and rhythm. 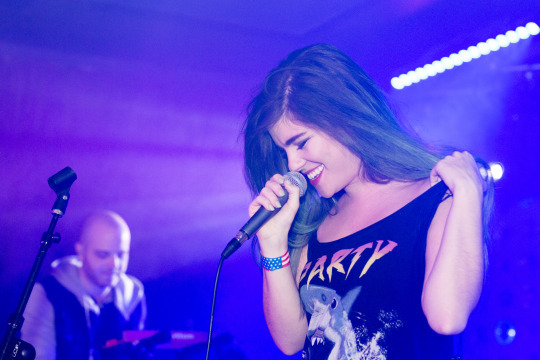 covers, exemplified by her mashup of “Ignition” by R. Kelly and “Do You…” by Miguel. I highly recommend you go follow her. 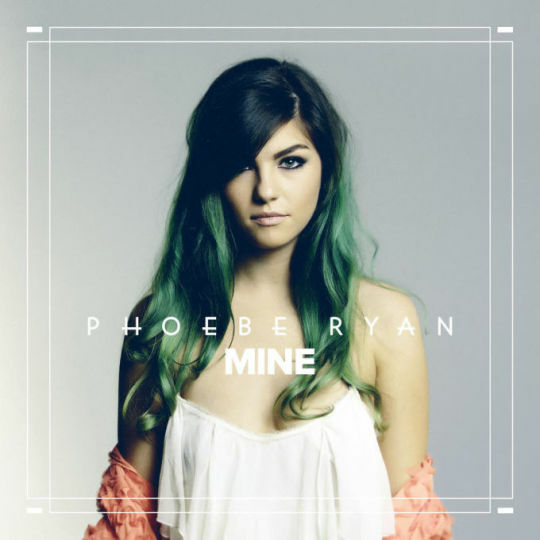 Best of luck to Phoebe on all of her musical endeavors. bound to make a let-down album eventually. 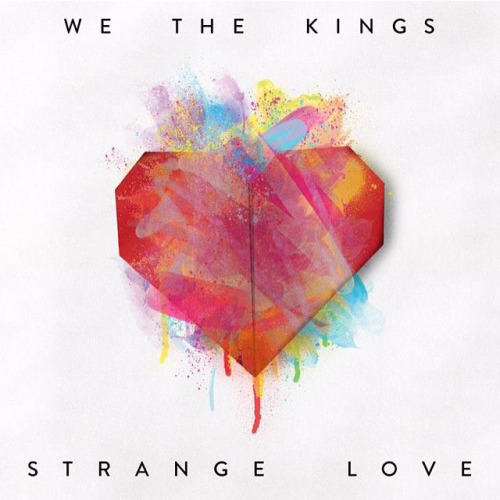 Unfortunately, Strange Love seems to be that album. life, but it’s definitely an improvement from the obnoxious “Love Again”. would be a great record. nostalgia and none of the disappointment. It was a long break. But, that just means I had whole lot of time to listen to some new jams, and let me tell you, I found some good ones, friends. I think by know, we realize that I’m a fan of British artists. And why shouldn’t I be? The accent, their outfits, the incredible depth of the voices that many of these artists carry. 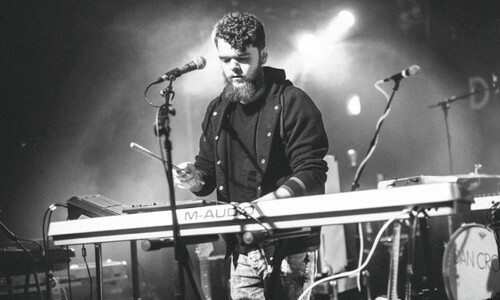 Let’s talk about Jack Garratt. A man that honestly looks like he’s be living on the streets as a rabbi with his full face beard, Garratt is a lowkey Londoner performer who’s starting to impress people, including myself. With a relatively new EP released in November, and a single released a month later that literally screams to me perfection in a song, I die a little whenever I hear Garratt sing. I came across his single, “Worry,” and couldn’t help but smile when I listened to his song. A slow building song, Garratt introduces us to his warm vocals, some drums, and an electric keyboard. You think, “Oh, alright, it’s going to be very Ben Howard-esq” (which isn’t necessarily a bad thing.) However, he just surprises you, and lets his almost falsetto (synced to some perfect electric guitar sometimes sneaking in) just steal your heart. His synchronism with his drum beats and synth just kind of pull it together for me. After I listened to “Worry,” it was necessary for me to listen to the rest of the EP, and I couldn’t but just inwardly praise Garratt for his use of genre in just the 4 songs on his EP. “Remnants,” is this hauntingly melancholy track that has whispers of a chill to it. While in “Worry,” we had a little bit of a rock vibe, hinting to me for some reason of indie rock band, The Antlers, “Remnants” is just on the completely different spectrum. Garratt’s links his really simply piano melodies with just some raw, raw vocals that lead up to this powerful chorus reminiscent of The Neighbourhood. Same thing going on with “I Wouldn’t Want You Anyway.” Powerful, clean, and somber. So I’m halfway through this EP, and think I know this guy’s sound, but nope. Take a listen to “Water,” and sweet baby Jesus, the amount of soul in this song is just uncanny. We take a turn from indie rock/alternative to sweet soul/R&B and I just dig it. The way Garratt uses his voice in this track truly reminds of water, so he’s got that on the mark. Okay, we’re to the end of this, and although this isn’t technically on the EP, I have a suspicion this new track just released for sure will be on Garratt’s up and coming album, so let’s just fall in love together. This song gives me legitimate chills, and I’m not exaggerating. This song is Marvin Gaye meets old school Robin Thicke meets some James Blake. I’m definitely feelings some hints of jammin’ electro funk and soul, and I’m sorry James Blake, but “Retrograde” just doesn’t stand a chance here with this new artist. 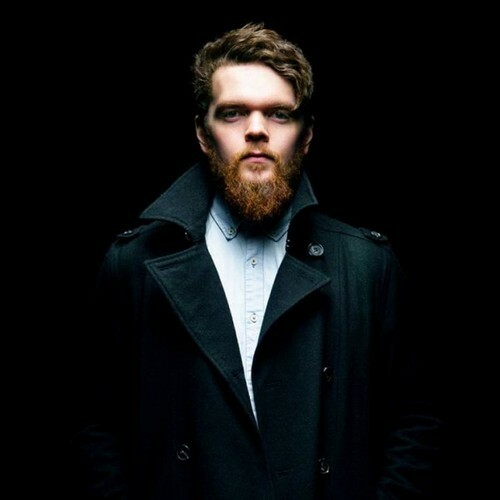 After I listened to this artist, I knew that Jack Garratt was an artist that could basically do any genre if he tried. With such an incredible mix of funk, soul, R&B, electro, and goddamn, even some blues, he knows how to use his vocals and instrumentals to the maximum capacity. I’m stoked for this guy’s full album, and definitely when he comes to the States for a US tour, you guys can guarantee I’m gonna be there front row and center. Eyooo, Brits, Brits, keep the music comin’. “The best place to start would be at the beginning,” said Laura Jane Grace of Against Me! as she walked out on stage right here at The University of Washington this past Saturday night (the 22nd). Where and when is the beginning of any of our personal journeys? Is it when we start understanding our own identities? Is it the moment that we first realize we are doing what we love? For Laura Jane Grace, the beginning was when she dropped out of high school and began writing songs. Sure, she may have been writing since she was a lot younger; but at age eighteen, Against Me! was started by Grace. Stemming off of many long years full of anger and angst, her music was based on DIY, anarcho-punk, and protest music movements. I may not be a long time fan of her music, but listening to Laura play guitar and sing her moving lyrics on Saturday has turned me into a fan of hers for eternity. Starting out the show with one of the first songs she ever wrote, “Walking Is Still Honest,” I got a really deep sense of the type of music that Grace writes. This song has beautiful lyrics, and lets listeners in on how it feels to realize truths in this world. 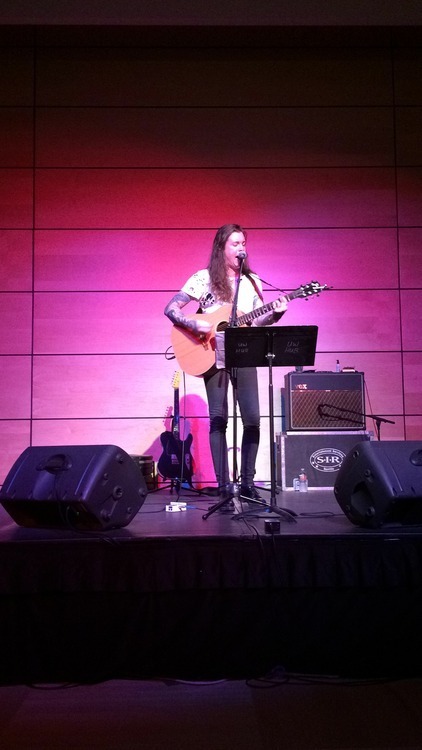 At this point in her life, Laura was experiencing an extreme sense of gender dyspohoria—which motivated her to continue writing songs that were tremendously telling of her emotions, which would later inspire others who felt the same as her. One of these songs, with completely awesome lyrics, is “Tonight We’re Gonna Give it 35%.” She even paused in the middle of this song to fill the audience in, saying “and this is the dysphoria part.” Along with getting laughs from the audience with her naturally hilarious demeanor, she seemed instantly relatable. Another song she sang for us, “Pretty Girls,” really allowed listeners to develop insight into Laura’s thoughts and feelings at the time she wrote this. One line stands out, “Sometimes at night, I pray to wake a different person in a different place.” Whether or not we’ve experienced gender dysphoria, we’ve all experienced feeling uncomfortable in our skin—again making Laura a relatable role model to all of us. As the night continued, I felt myself become absorbed in each song and story that Laura shared. The next songs on her set list were “Dead Friend,” written for Laura’s heartbreak over a friend passing away; “Two Coffins,” originally written for her daughter; “FuckMyLife666,” which is about coming out publicly in Rolling Stone and dealing with a breakup with her second wife; “Paralytic States,” where she shares that at this point in her life she was “never quite the woman that she wanted to be;” and then lastly she sang a cover of a song that she felt very connected to, “Androgynous,” originally by Paul Westerberg. 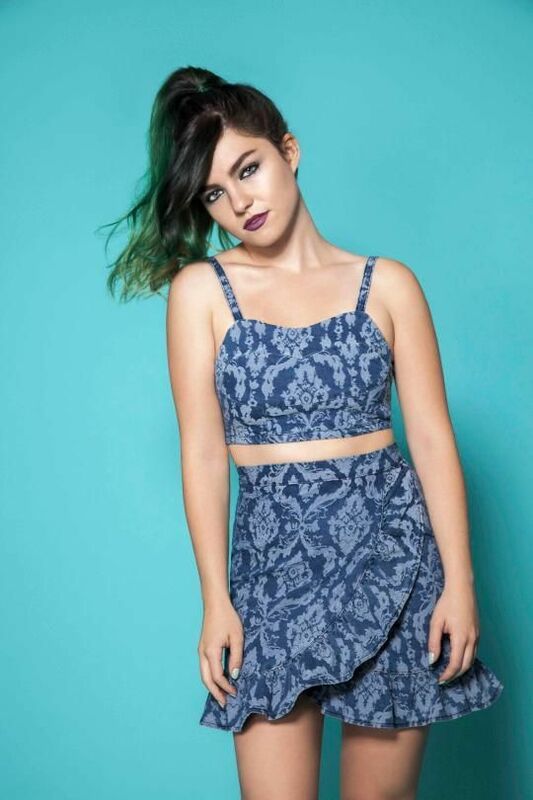 The latest songs that she’s written deal with the frustration of feeling pressure to change oneself to fit the mold of what society wants—whether that be a gender role or a major record label’s idea of what’s perfect to them. But the greatest part about this fantastic evening with Laura Jane Grace is that she made it clear that there isn’t simply one mold to fit into. She left the audience with words of wisdom: she says with a laugh that she’s “a high school dropout, transgender, ex junky with a felony record” in the most reassuring way possible. I say “reassuring” because after years of battling all the challenges she’s had to, she’s coming into herself and on top of this, is inspiring and giving hope to people all around the world dealing with similar struggles to the one’s she’s endured. At the end of the show, there was a question and answer session where fans were able to ask her just about anything. I decided to take the backseat and listen to insight she had to share. She had so many beautiful answers to these questions, but one really stuck out to me. When asked about Laura’s daughter’s knowledge of her being transgender, she said that her daughter is pretty good about understanding; however, what I loved about this was that Laura said she’s been trying to teach her daughter to “be true to yourself and to [not be] ashamed” of who you are. I just loved this—because what’s a better way to teach something than to practice what you preach? That is exactly what Laura Jane Grace is doing with her life—as a parent, as a musician, as a transgender woman, and as an inspiration and a muse to all of us. Ted Lucas got his start as a studio musician and member of various folk/rock bands around the Midwest. 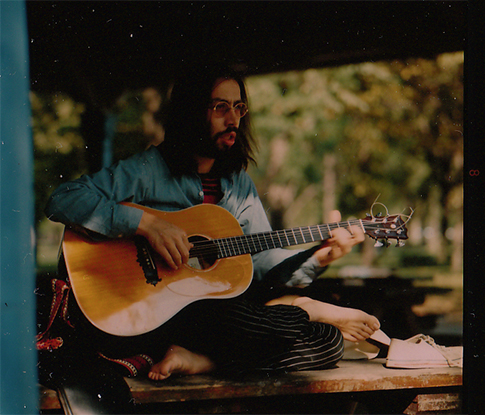 A classically trained guitar player, Lucas also studied blues, country, jazz, and contemporary music and drew inspiration from the likes of Ravi Shankar to develop a beautiful sound of his own. In 1974 he released his only album, a self titled effort recorded largely in his attic studio that has come to be known as “The Om Album”. The two sides of the album are quite distinct from each other. 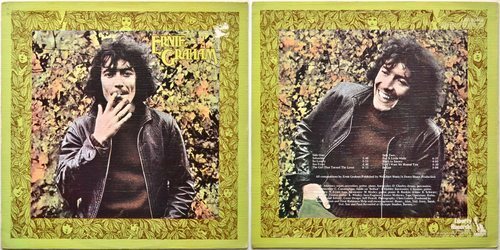 Side A consists of a gorgeous medley of six folk songs, while Side B contains three longer, more instrumental jams. In the first six tracks, Lucas develops beautiful and familiar melodies with his perfectly soft guitar playing and warm, open voice. In a way that makes you think Bon Iver must be a fan, Lucas crafts intricate harmonies with himself that settle themselves in your head all day but never wear on you; his music is comfortable. The lyrics of his songs are simple and direct, smiling out of the songs at you. In the album’s opener he sings “It’s a plain and sane and simple melody/brings a song to you, brings some joy to me”, setting the tone for the album as a whole. The next three tracks, “It’s So Easy”, “Now That I Know”, and “I’ll Find A Way” are all intricate and touching in their own way and as you’re listening you keep expecting a let down, like how can it stay this good?? Then Lucas comes at you with “Baby Where You Are” and “It’s So Nice To Get Stoned”, tracks that are irresistibly excellent. Side B showcases Lucas’ guitar talent, especially on “Sonny Boy Blues”, a seven minute long rail against over drinking, and the closer “Love & Peace Raga”. The raga is played in a traditional Indian style; intricately picking it’s way along for nearly eight minutes, weaving together melodies, and creating a gorgeous tapestry of sound. This album is an absolute gem from start to finish, and while it sadly never got the attention it deserved, I get the sense that Ted Lucas was not a man concerned with material gains. So take a few minutes and give it a listen, you won’t be disappointed. Yoga Records put out a reissue in 2010 which can be found on iTunes or Amazon. I’m a simple girl. I like some tunes with a guitar, a piano, and some solid vocals. I’m not too fancy, I don’t always appreciate all the extras that go into a record, especially when it takes away from the vocals. Not with James Vincent McMorrow. It’s a whole new ball game. Let’s back up. When I heard James Vincent McMorrow was coming to town this Sunday, I became much, much too excited. 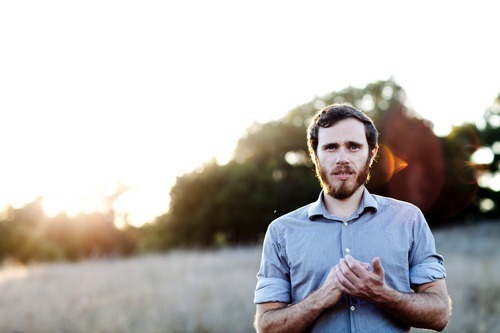 An Irish singer-songwriter, McMorrow is one of my favorites. Just releasing his second album Post Tropical last winter in January, McMorrow’s sound is indescribable. Compared to his debut album of 2011, Early in the Morning¸ which had a stereotypical folk sound of straight guitar and voice, Post Tropical mixes different sounds to create this unique, cohesive juxtaposition of R&B, soul, folk, and hip hop. It helps that McMorrow’s surreal songwriting and ability to play practically every instrument is demonstrated within the album. Mix that with his beautiful falsetto and you’ve got yourself a solid deal of music. I’m excited for this brilliant show at Neptune Theatre, Sunday, November 16th, at 8 p.m. and see how it pans out. Personal favorites? Pretty stoked for “Cavalier,” the opening track on Post Tropical. A beautiful piece of work, it slowly builds from hushed keys and hand claps to soaring sounds of bass, drums, and of course his gorgeous vocals. Also, hoping to God and crossing my fingers that he pulls out “We Don’t Eat,” from his 2012 EP, because although it’s an oldie, it’s a goodie. Opening the track up with a quiet repetition of one piano key and soft drums, it escalades into this track with incredible depth. I like the way this man builds up his jams, because man, it gives me shivers. Basic point: Go to this show. 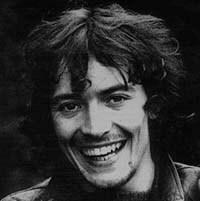 You don’t need to be a fan of soul or indie or folk to like this man. The mixes on this album are incredibly complex and conversely inspired with different influences that anyone can fall in love with him. Also, it’s not sold out, and it’s at one of the best venues in Seattle, so I’d intensely frown at you if you didn’t go. And I hate frowning. Hi I’m Ariana Rivera and I like writing words and music so I asked some people about a way to combine the two and they gave me this job. So lately, I’ve been obsessed, and I think you know what I mean. I’m talking about soul-sucking, mind-numbing, “Wow, I can’t stop listening” plain obsessed. This entire album and the man who writes it has stolen my heart and although it’s only been a couple of weeks, I just can’t help but love it. Born Andrew Hozier-Byrne, 24, Irish born and gifted with a soulful, bluesy as hell voice, this man is relatively new to the industry, with his debut album, Hozier released in Ireland in September, and globally just last month. Studied music in Dublin for a bit and was involved in an Irish vocal choral group, but dropped that…to become who he is, a modern day, Van Morrison and a male Adele. So let’s talk about his album, now that we have an understanding that he’s somewhat successful and a little bit beautiful. 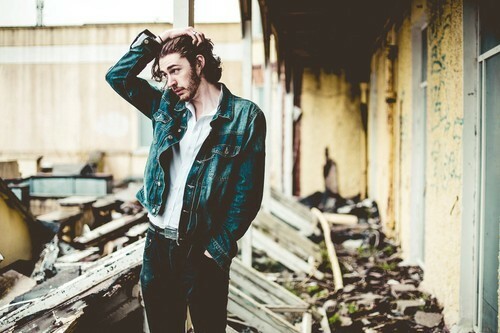 Starting off with “Take Me to Church,” his first single that went viral on YouTube and topped the charts all around, we get a feel of how Hozier feels about love in his analogous parallel of love to religion: that falling in love essentially resulted in a death of everything. Not the happiest way to start the day, but the song starts off just a pure tone of his voice and some simple piano chords. Once we get going, background vocals come in, and for a second you see a hint of the vocal choral group roots that he has. The lyrics of this song are powerful once you reach the chorus, and we end the song not just with a pianist and smooth sounds of Hozier’s voice, but with a powerful guitar and drum combo, thundering through to make a statement. Hozier switches it up a bit and finally shows a softer bluesy side in “Jackie and Wilson,” with an asymmetric rhythm and feel. “From Eden,” the 6th track off the album, other than having incredible lyrics that reference a lil bit of Satan (“I slithered in from Eden”) has the oddest sound of the entire album in my opinion. Start a song off with some cello and guitar, and just a voice resonating “Babe,” and it just is too soulful. It sounds like you’re listening to a lullaby when you first start off. The lyrics come in, and the symbiotic relationship that the cello, guitar, and drums play off each other, and although the song loses its lullaby feel, the instrumentals alone still leave you feeling just serene and peaceful. “Work Song,” one of the later tracks, is my favorite of the entire album simply because of the melodic hums that swell beautifully and timed claps that start off the song (This is so weird, but I swear it reminds me of Ladysmith Black Mambazo. Don’t judge.) He sings this track with almost a careless croon of just walking around mournfully. I dig the style. My favorite lyric off the entire album comes from this song: “When, my, time comes around/ Lay me gently in the cold dark earth/ No grave can hold my body down/ I’ll crawl home to her.” He’s an intense guy, but an intense lover all the same, and this lyric holds it true for me. We end the album, still soulful, but much more toned down from when we started. “Cherry Wine,” the last track of the album, is the live version, and features Hozier picking at his guitar and his voice. 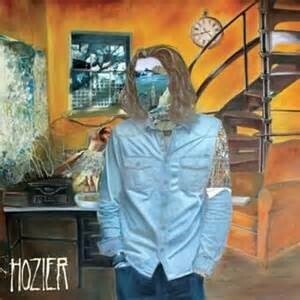 Unlike with previous songs in the album, in which he sings it with a completely folky, blues style similar to that of the earlier track “Like Real People Do, “ Hozier sings it pure, clean, and naked of any influence. It’s the purest song of the album, and the happiest song as, in terms of tone. With sound clips of blue birds in the background and pretty guitar riffs, “Cherry Wine” ends the album on a happier, more serendipitous note than the intense, tormented sound of “Take Me to Church” in the beginning. If ya like Van Morrison, if you like The Black Keys, and if ya like some bluesy soul, grab a copy. Overall? Obviously, I’m obsessed for a reason. There’s hints of the Gospel/choral influences in almost every track, and I thank it for it. Although his soulful, bluesy riffs are beautiful, they can be a bit intense, and the heavy content of his lyricism is nicely off put by the heart lifting melodic swells. Additional to that, it seems to add to the holy atmosphere he had in his sound and the love/religion obsession he has in his lyrics. Maybe you won’t be obsessed, but I still love him for his soulful vibe. That, and the fact he followed me back on Instagram.